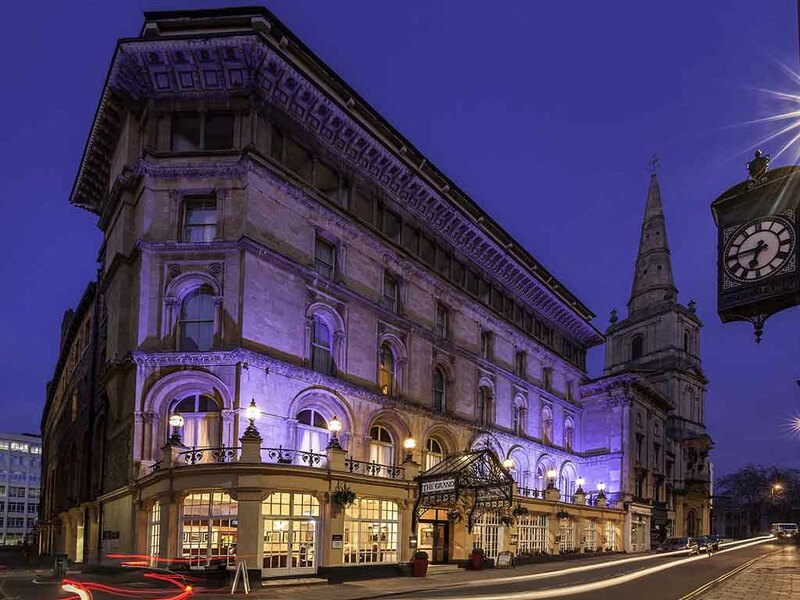 Mercure Bristol Grand Hotel has had an extensive makeover in recent years, giving the historic Grade II listed building a stylish and distinctive new look for 2018. The hotel's rejuvenated interior draws inspiration from both the city's independent art scene and the building's rich historic past; creating a classic, yet contemporary, finish. Keepers Bar & Kitchen features solid wood and metal fittings and serves much-loved British meals using quality, locally sourced ingredients. If you're looking for retail therapy, we're close to all the main shopping areas of Bristol, and you'll also find museums and other attractions nearby. We are excited to be undertaking some further refurbishment to our hotel between 11th March and 29th April 2019. We expect minimal disruption during this period and appreciate your patience and support whilst this is on-going. With 182 spacious and beautifully appointed rooms, stunning suites, leisure and beauty facilities, and eleven elegant function rooms, we are the first choice for tourists and business travellers. Eat, drink and unwind, morning, noon and night at Keepers Kitchen & Bar. Soak up the atmosphere and experience a twist on traditional British cuisine with an imaginative menu that also features homegrown honey sourced from a hive on the hotel's roof. Chill-out and relax in Keepers bar, enjoy our comfortable seating and variety of working spaces. Our drinks menu features an extensive selection of wines, beers, cocktails, soft drinks, coffees and teas.